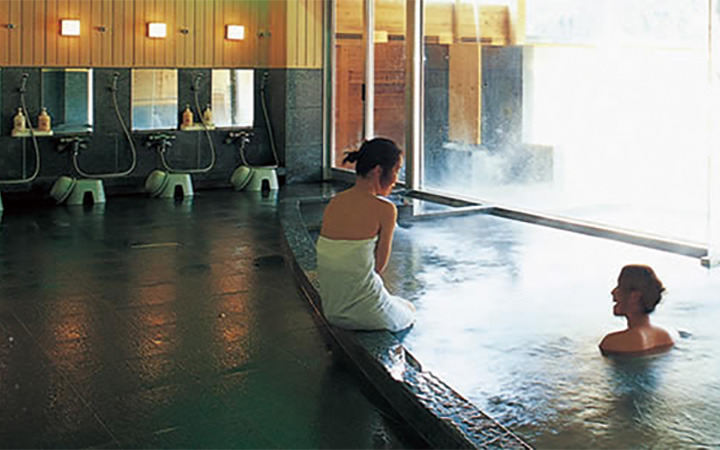 The hot spring was unexpectedly discovered while the Yadagawa rivers were under restoration construction to fix the damage caused after a disastrous typhoon hit the area in the fall of 1990. The hot spring is surrounded by nature making it possible for visitors to enjoy the seasonal colors. Bright green color of new foliage in the spring, deeply colored green summers, carpets of golden colored rice fields in the autumn, and in the winter the neighborhood turns into a silvery white world of wonder.